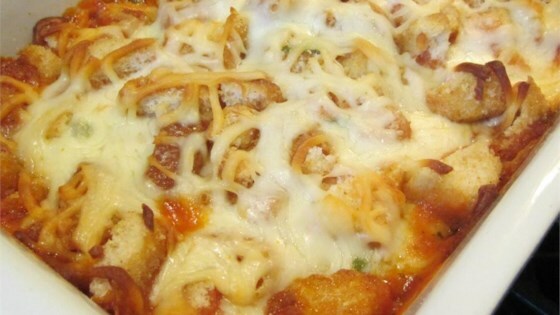 "This chicken Parmesan is done casserole style (so, no breading or frying! ), but still offers up that irresistible combination of tender chicken, crunchy/cheesy coating, and flavorful sauce." Use more marinara sauce if you like. And fake Parmesan will not taste the same…go buy some real Parmigiano-Reggiano! Unfortunately, I beg to differ. This is NOT the best parmesan chicken. I had hopes to make for a large group, but no dice. Back to the drawing board.